The existing relationship between Toronto and the province of Ontario isn't working well and needs an overhaul. That's the consensus of 50-plus participants in a Round Table on Charter Cities held on March 25 at Metro Hall. The sessions were hosted by Charter City Toronto. 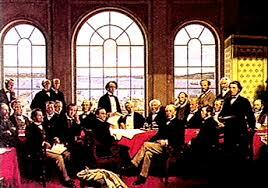 The proposal to write a City Charter for Toronto attracted a lot of interest among participants. Steve Paikin, host of TVO's The Agenda, left, interviews Charter City Toronto's Doug Earl and York University Professor Patricia Wood about Charter Cities at CCTO's Round Table on 25 March at Metro Hall. Ottawa) as "not working" for Toronto. They need to be looked at with a view to empowering the city and its citizens, they said. The province should not be able to dictate all terms to the city of Toronto and other Ontario cities as it can now, participants said, citing decades of provincial interference in Toronto, from forced amalgamation in the late 1990s, to the arbitrary city council cuts of 2018. ​​But what status should Toronto have instead? Responses ranged from "full provincehood" to "greater autonomy", with some participants questioning how a City Charter would improve the situation for people on the ground. More than 50 engaged citizens gather to exchange ideas about strengthening the city's control of its own affairs and to protect the city from provincial interference. Seven tables of participants each considered a different aspect of Charter City Toronto's initial ideas on Governance, Autonomy, Finance, Constitutional Aspects, Regional Implications, Building a Movement and how Charter City Toronto's approach might improve the city's ability to provide housing, better land use planning and social services. On governing, some felt the province should have no say in how the city is run. Others called for the creative use of referendums, voter recall legislation and political parties. How to pay for a Charter City? Asked how to pay for a Charter City, participants pointed out that the city doesn't use all the taxation powers it already has, having tried to introduce road tolls only to be overruled by the province. ​Others pointed out that most of the taxes the city is permitted to levy are not progressive taxes and are not capableof raising the sums Toronto needs to address its backlog of infrastructure repair, a host of unfunded initiatives in other sectors and other future needs. Many called for the city to have a guaranteed slice of the sales and income tax it raises. There were also calls for more of the tax revenues already raised in Toronto to stay in Toronto, though others were quick to point out that Toronto should continue to contribute to the province. Whatever the arrangement, it should be revenue-neutral, participants said. Charter City Toronto Founding Member and former Toronto Mayor John Sewell opens the Round Table evening. On the proposal to entrench protections for cities in the Canadian Constitution, participants had more questions than hard opinions: How would it work? What protections could it offer? What's the best constitutional mechanism to bring this about? The sessions were part of Charter City Toronto's first consultation session on its proposal to empower the city by writing, adopting and constitutionally protecting a City Charter. The goal was to get feedback on the Charter City approach and to collect ideas on how a new relationship between the city and the province could be achieved and what that relationship should be. At this early stage, it’s clear that a City Charter means different things to different people, and that there are many different outcomes people would like to see from the pursuit of a City Charter.